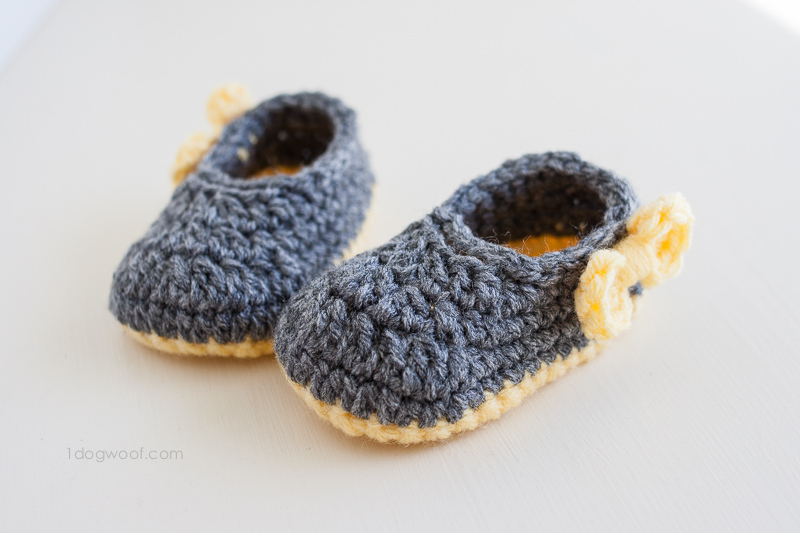 Last year around this time, I shared my first baby shoe pattern – my Double Strapped Mary Janes. It was admittedly a slightly confusing pattern, both for myself and my readers. I’ve also gotten requests to make different sizes. With M’s feet getting bigger every day, I think it’s time to buckle down and figure out this whole shoe business, with at least some idea of how this sizing thing works. Hence, a little sole searching, and possibly, a little soul searching. After dotting my residential landscape with a lot of tiny soles and making a lot of drawings in my idea book, I think I have a sole that works. 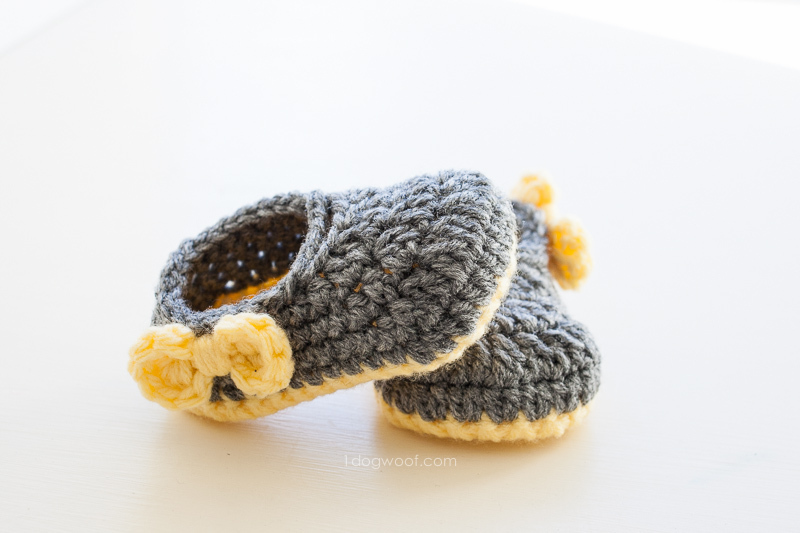 The pattern is for two sizes, and can be adjusted even more by using a different sized hook. 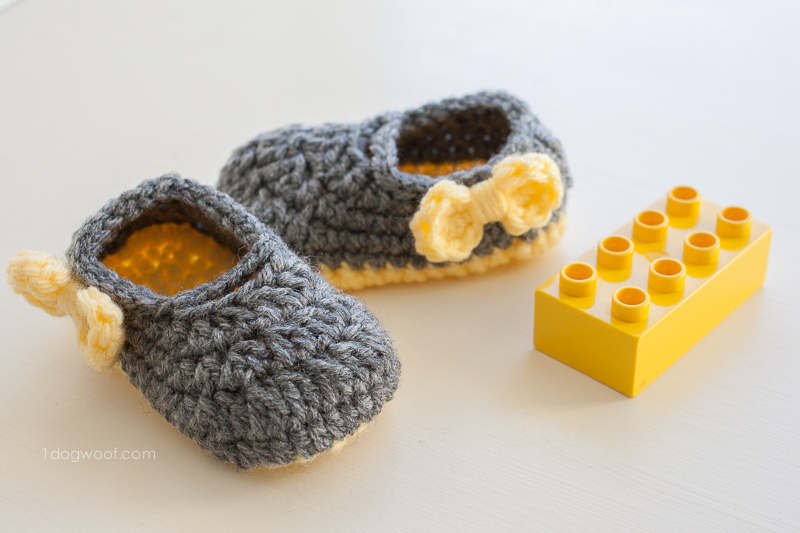 The gray/yellow shoe shown above is compared to a Duplos block, and it for 3-6 mo baby using a G hook. An H hook will probably give you a 6-12 mo size. The larger pattern using a G hook will give a 12-18 mo size, and an H hook will probably fit a 2-3T size (I know, those are clothing sizes, but you get the idea). 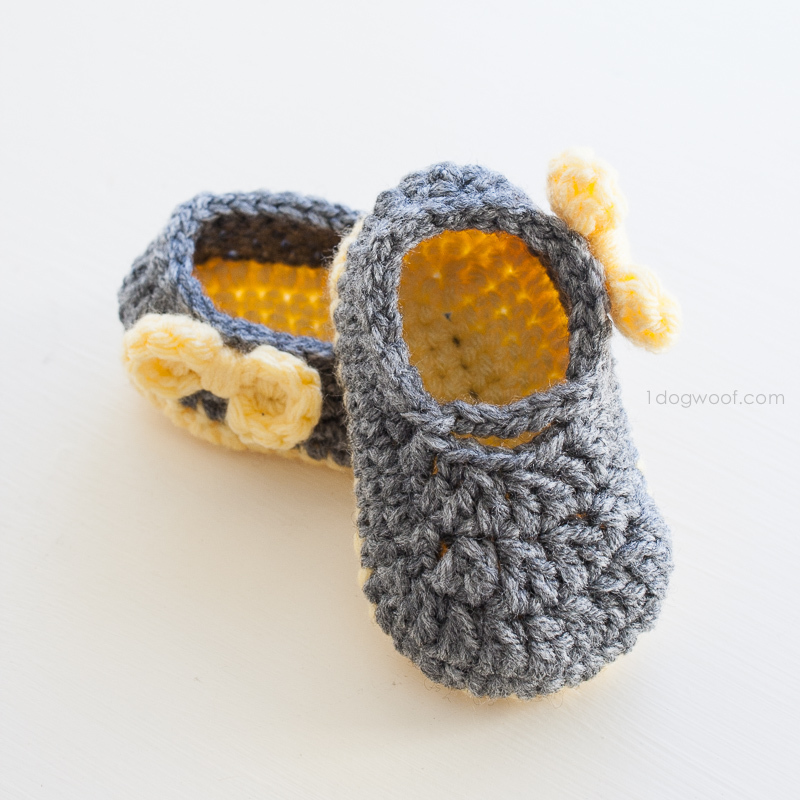 I made a pair using the larger pattern using a G hook and it’s a snug fit for Miss M, who is wearing a 6.5 baby shoe size. Scrap yarn in two colors. 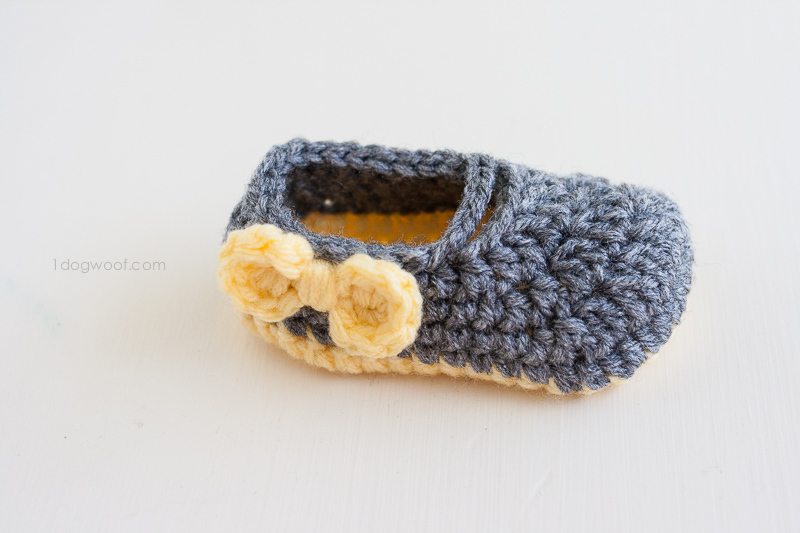 You won’t need an entire ball of yarn for either pattern, but not itty bitty scraps either. Here’s a short video to show how to finish the inside-out sole! Round 5: Starting in the next stitch following the join, work 1 sl st in each of next 10 st. Ch 5. Skip next 6 st. Work 1 sl st in each of next 9 st, and finish the round with an invisible join. With the invisible join, it won’t matter too much which stitch you join. 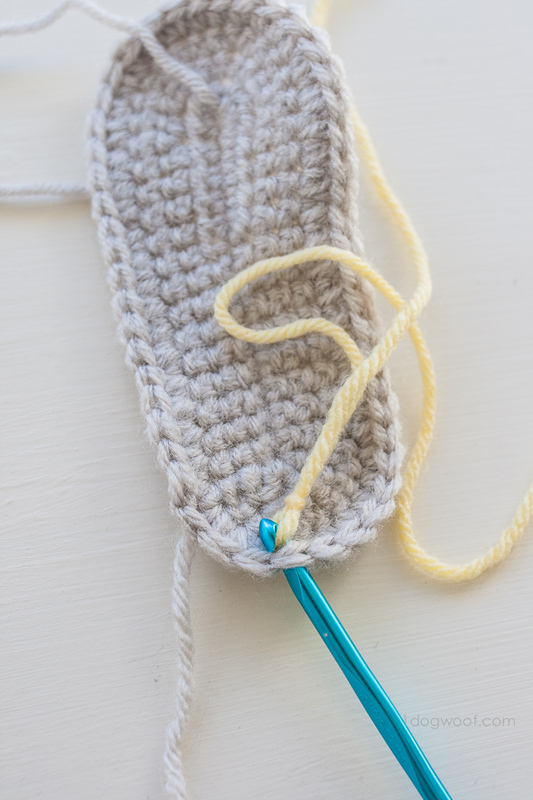 Since you started the slip stitches on the 2nd stitch, you can join directly into that join. If you lose count on this round, it’s also no big deal! Round 6: Starting in the next stitch following the join, work 1 sl st in each of next 12 st. Ch 5. Skip next 6 st. Work 1 sl st in each of next 11 st, and finish the round with an invisible join. With the invisible join, it won’t matter too much which stitch you join. Since you started the slip stitches on the 2nd stitch, you can join directly into that join. If you lose count on this round, it’s also no big deal! At this point, you have a pretty basic shoe. Make some simple bows, leaving a long tail and attach them as embellishments to your creation! If you liked this pattern, then check out my Double Strapped Mary Janes. You can find me on my Facebook page or on Instagram, where I share works in progress, sneak peeks of patterns in the works, and other fun facets of my day! I also love seeing the finished products you make and would love to share your creations with my other readers! 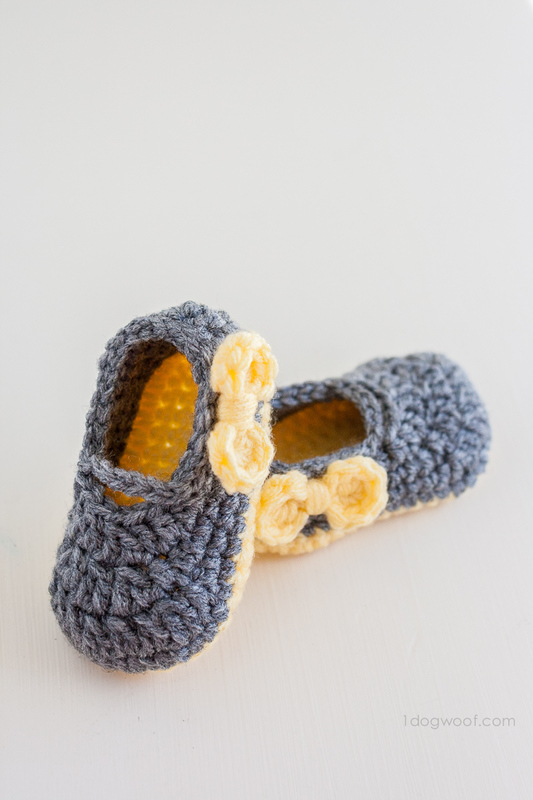 Are there directions for left hand crocheted or a left hand video for these Piper Jane Shoes? No matter how many times I watch the video I can’t get row 5 of the sole started. Thanks! So sweet and I love the color combination! 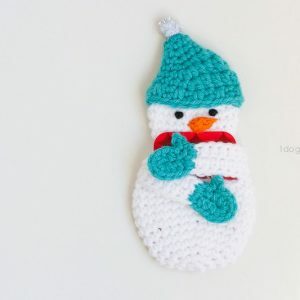 And thank you for sharing another free pattern. So very much appreciated! Hi Chiwei!! This is so cutee. Your work have inspired me to do crocheting again. Can’t wait to see your next project. The instructions say to work sc in the next 14 stitches, so the standing stitch is not one of the 14. Hope that helps! This is so cute ! 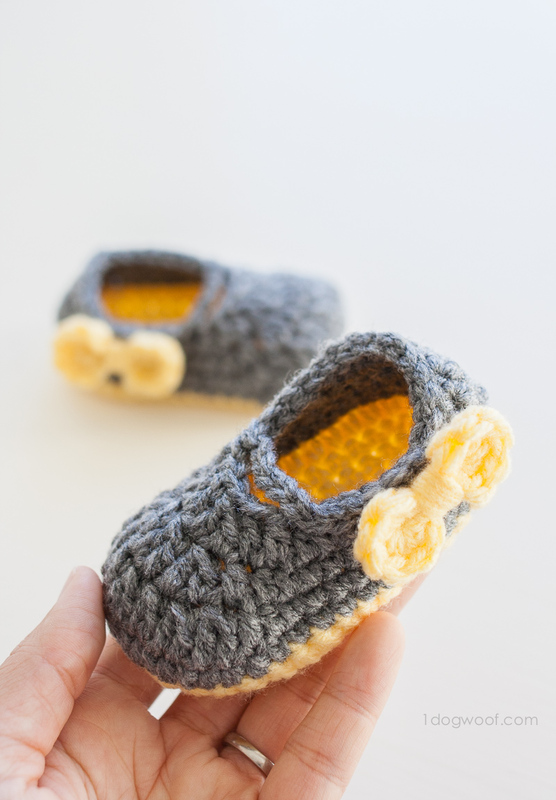 I am definitey trying to make these adorable baby shoes ! What kind of yarn are you using? I am trying this out in worsted weight for size 1, but they seem huge for that size. How do you make the bow? What weight yarn were you using? I didn’t see that noted. Thanks. The shoes are really cute. 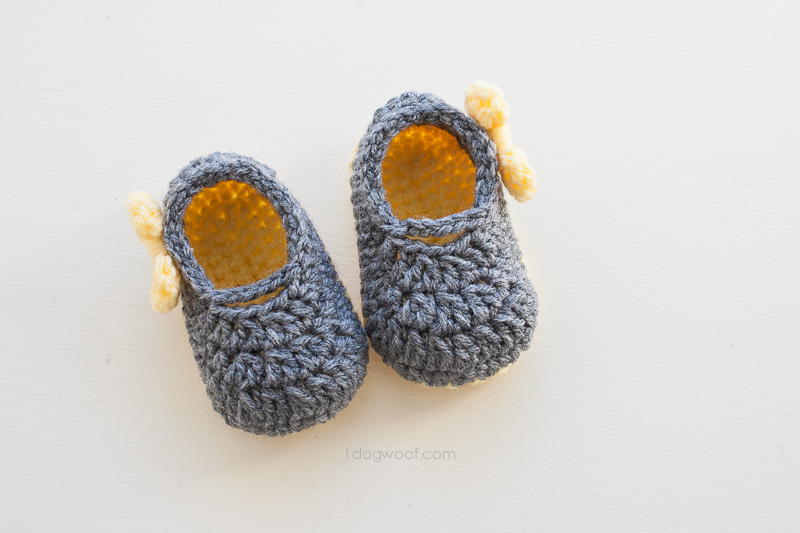 if i wanted to make these is a newborn or 0-3 month size, what hook size would you recommend? I’d probably try an F hook and fingerling yarn, and then go from there. LOVE !! Can you tell me what type of yarn, and size, for the grey ones in the photos ? Your photography is wonderful too, by the way !! I made a pair with pink añd white and they turned out so cute! Can’t wait to give them to my granddaughter! Thank you for sharing your pattern! Same issue for me too. 13 + 18 + 13 is already 44 stitches not to mention there is another increase after that. Can you (pretty) please look into the bigger pattern round 2? I don’t seem to reach the right number as well. Please! I think that there is a mistake, but I don’t know where. It should be 44 in the end, or increase less somewhere? I could not access the pattern after signing in. Can you help me? 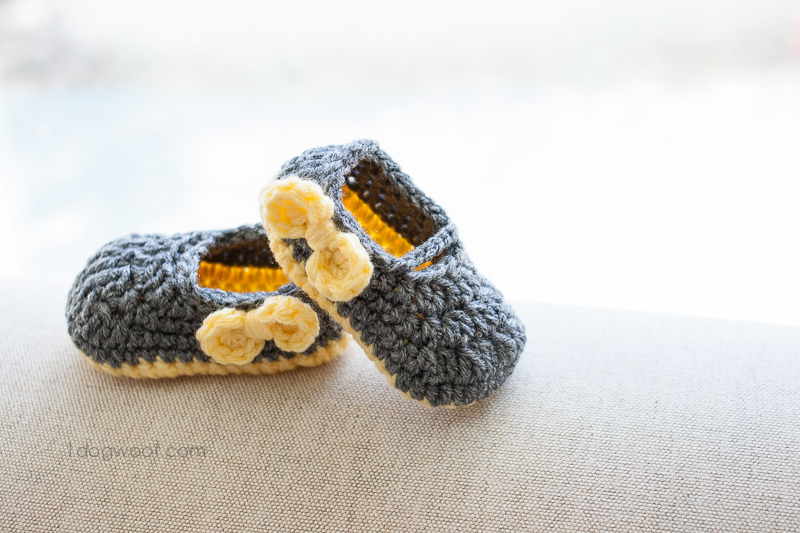 I could not access the pattern for these adorable booties. Can you help. Thank you for sharing this pattern. I made them for my grandson but altered it a bit. On the last row, instead of doing the strap I used sc around the toe. Then I made a tight chain and “laced” it across the toe. They look like little running shoes. do you hv the length in cm after completion? In the larger size round 2 doesnt add up to 41 it adds upto 44. And i dont understand exactly what round 5 says.